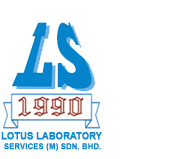 Lotus Laboratory Services, Oil & Fats, Environment, Water Testing, Food Stuff, Microbiological, Johor Bahru, Malaysia. 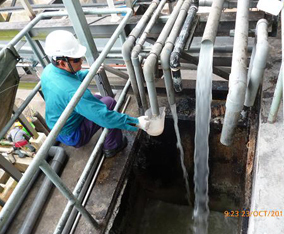 This comprehensive monitoring services include arranging technician to be stationed at the factory site to perform the hourly sampling and checking pH, temperature, colour observation and flow rate at situ. Lotus Laboratory Services also provide testing and analysis for drinking and portable water as per requirements of the Food Act 1983. Apart from that, Lotus Laboratory Services also conduct the	testing based on the drinking water quality standards set by World Health Organization (WHO). 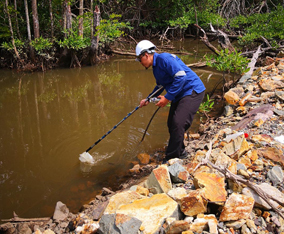 Under Environment Impact Assessment (EIA) and Environmental Monitoring Report (EMR), Lotus Laboratory Services offer river water and marine water monitoring and analysis . 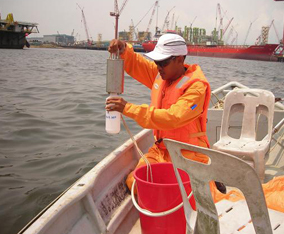 Parameter	is according with the Interim National Water Standard and Marine Water Quality Standard. Please contact our marketing staff regarding enquiry or any additional information required. If you are within the Southern Peninsular Malaysia State, one of our marketing/ sales chemist shall be most happy to pay a visit to you, and give you a personal explanation on your need. LOTUS LABORATORY SERVICES (M) SDN. BHD. Lotus Laboratory Services (M) Sdn Bhd © 2019 All rights reserved.